Successful attacks provide an attacker access to the whatever data the database holds and even operating system access in the most damaging attacks. Why use this SQL Injection Test? The benefits of this test are that you have easy access to a fast and comprehensive SQL injection against a single URL. This scan does not scour your website and find every possible injection point; however by having such as quick and accurate test on hand. You are able to easily select a handful of HTTP GET based url's from your target web site and test them immediately. If you find that the HTTP GET based url's are vulnerable to SQL injection, there is a good chance that other parts of the site are also vulnerable; and you are in need of a comprehensive web application assessment to ensure your website is safe from this damaging attack. How do I perform a SQL injection test? This example url will have the two parameter’s id and page tested for sql injection. 2. Enter the email address for delivery of the results. 3. Hit the start button to have the tests performed on the system. 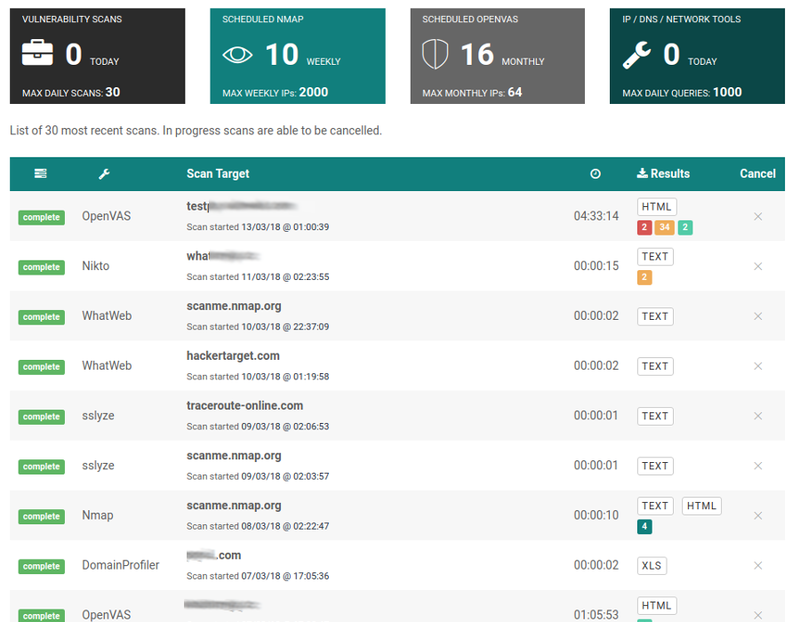 The scan uses sqlmap to test for HTTP GET parameters of a url. The scan type is default, with only the database version being extracted in the event of a successful injection point is found. SQL Injection is a common attack vector in dynamic web applications. It allows an attacker to gain access to the database or database functions through poor coding methodology. We have documented an introduction to sql injection or alternatively a good SQL injection reference is over at the owasp site. 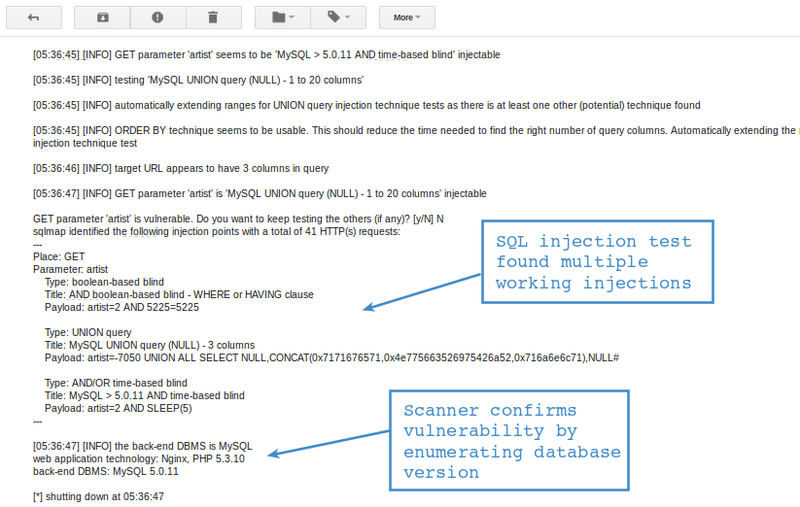 The SQLmap tool is a powerful automated sql injection testing tool. 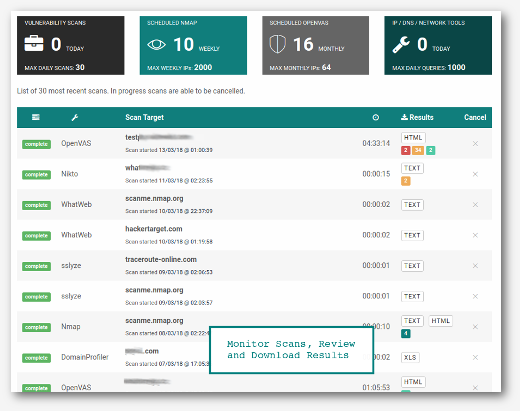 In recent reviews of web application assessment tools sqlmap has consistently scored highly in accuracy of the detection capability. Recently there have been a number of high profile attacks that have been exploited by SQL Injection, these have resulted in the loss of millions of customer records and hundreds of thousands of login / password combinations.